‘Some of the most committed philanthropists I know started off by being angry about something,’ says Cafferkey. With over a decade of experience working with philanthropists, he’s known a few. Cafferkey has worked as international manager at the Charities Aid Foundation and as director at Geneva Global from where he branched out with his own social good consultancy, Boncerto, last October. Boncerto, meaning ‘the good fight,’ exists to help people who want to do good to do good well. ‘Philanthropy doesn’t have to be lacking in joy and passion,’ says Cafferkey. Most of Cafferkey’s clients are entrepreneurs looking to deploy their creative spirit elsewhere. Cafferkey acknowledges a strong correlation between the entrepreneurial and philanthropic spirit. 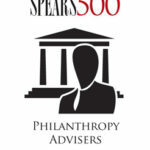 ‘Entrepreneurs know that growing a company is as thrilling as making money,’ says Cafferkey, ‘and they enjoy the challenge of solving problems and proving people wrong; saying “Let’s grow it, fix it and really start engaging”.’ Cafferkey believes that direct and meaningful engagement with the people you are trying to help is the key to effective philanthropy.